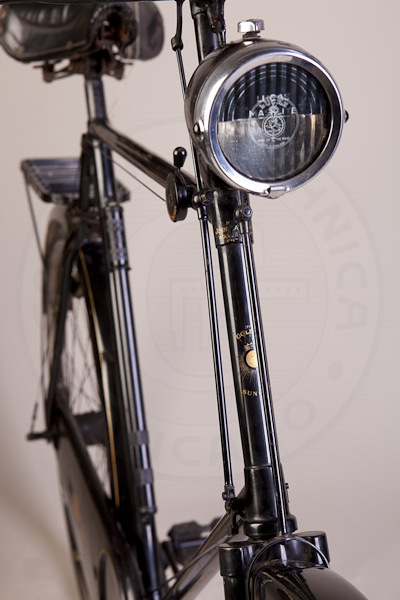 Sunbeam made cars, motorcycles and bicycles as well as other products. The founder, John Marston, was an avid cyclist, and, around 1887, became interested in improving bicycles available at that time. 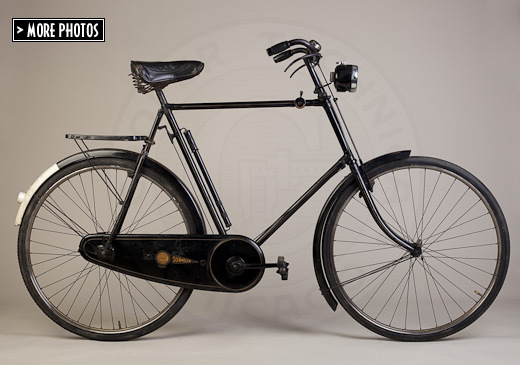 A prototype was built in 1888 and the first production Sunbeam bicycles were shown in 1889. They were exquisitely constructed, and finished in black enamel with lining in gold leaf. 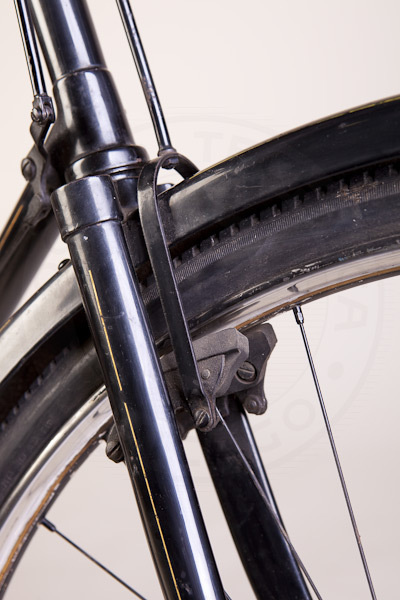 Technical innovations included the Little Oil Bath enclosed chain-guard and rod-controlled mechanical brakes. The Golden Sunbeam, introduced in 1908, was the top of the line, and was built with only incremental improvements until 1935 when the company was sold. 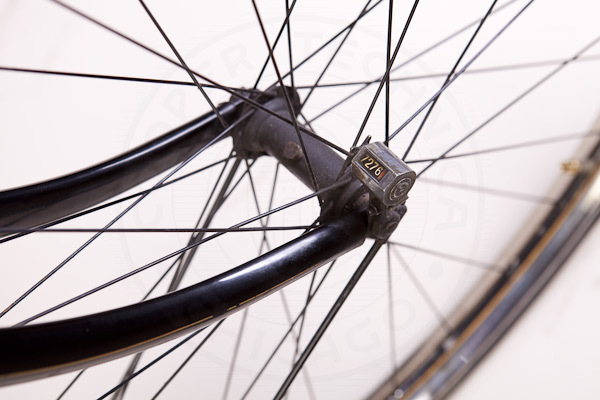 Early machines had a planetary gear system mounted in the crank, but later machines like this one had a three-speed Sturmey Archer gear hub, with a proprietary control lever mounted on the top tube. My Golden Sunbeam had never been disassembled, and I believe even the chain is original, so I arranged to have it shipped fully assembled in a special crate by air from the UK. When it arrived a friend from England said, "Oh you have a Vicar's bike." The ride is elegant, takes rough pavement well with the long wheelbase and shallow head tube angle, and gives the rider a commanding position of the road. 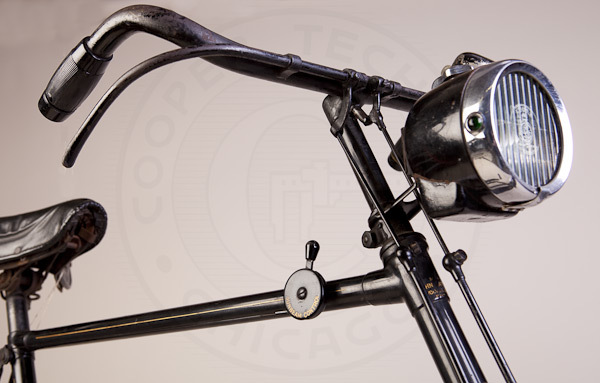 Handlebars with mechanical brake levers and the three-speed control on top tube. 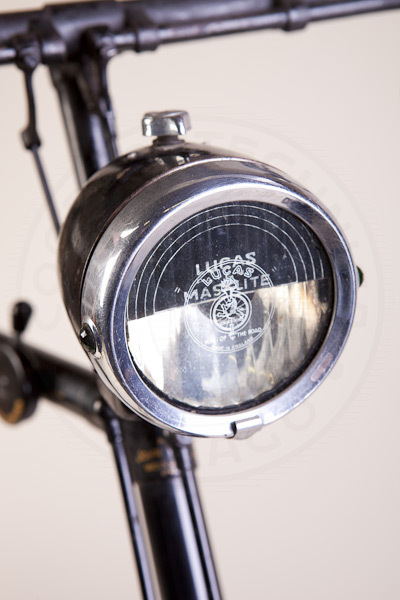 The Lucas King of the Road light with blackout mask dates from WWII. 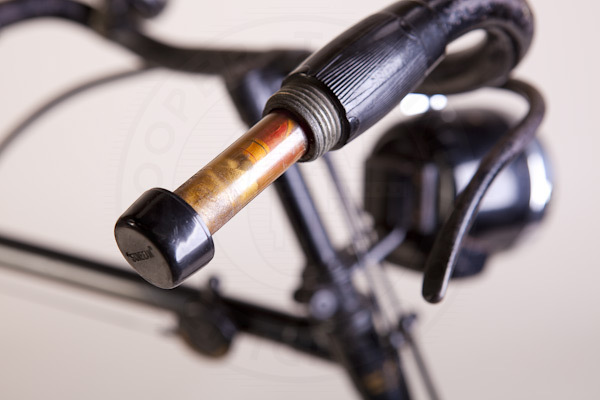 Handlebar ends unscrew to reveal a "repair outfit" in celluloid container. 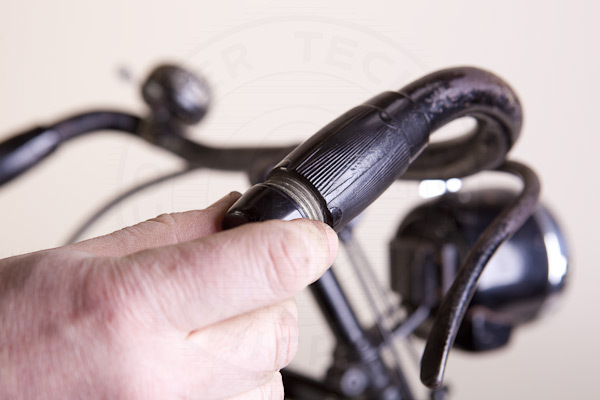 Repair outfit in handlebar end. Mileage counter fitted to front wheel. Reads 7,276 miles. Accurate? Who knows? Hand lettered name on head tube and original gold leaf lining. 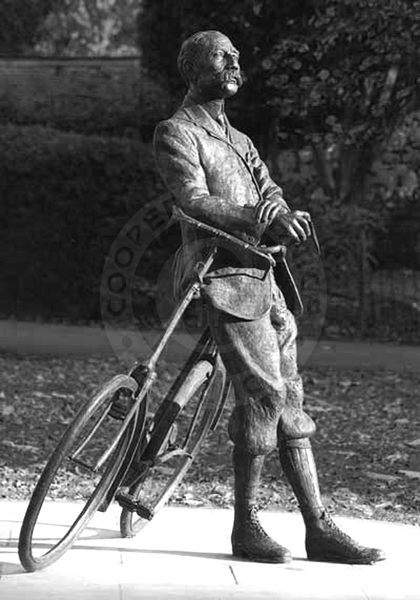 Sir Edward Elgar with his beloved Sunbeam, in a bronze sculpture located in Herefordshire, England.